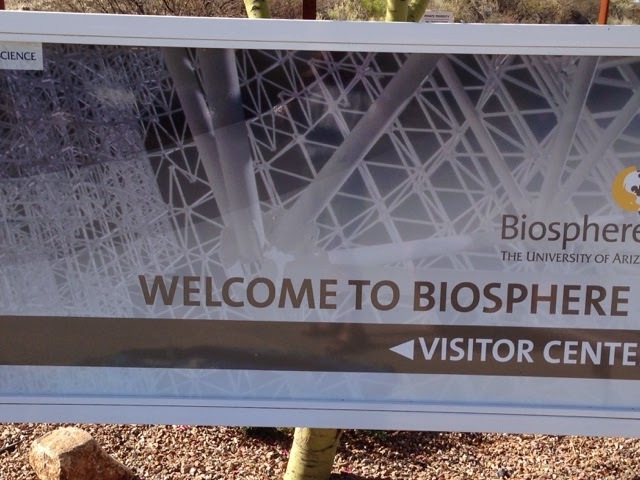 Today I decided to head south to see the Biosphere closer to Tucson. I have been here before but has been over 10 years and it is an intriguing place. 3 years ago it was taken over by the University of AZ. 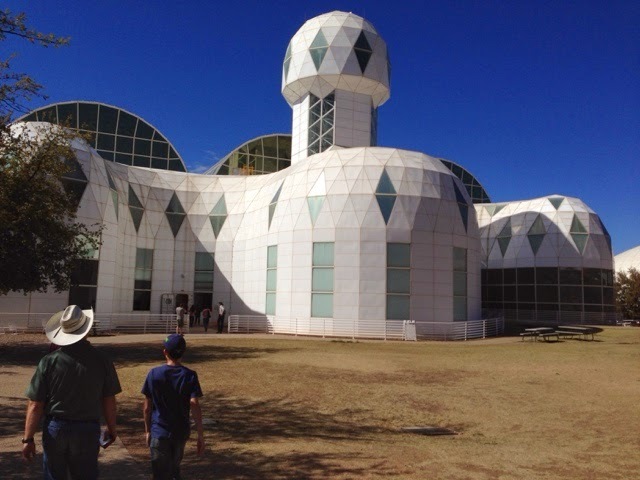 So if this is Biosphere 2 what is Biosphere 1? 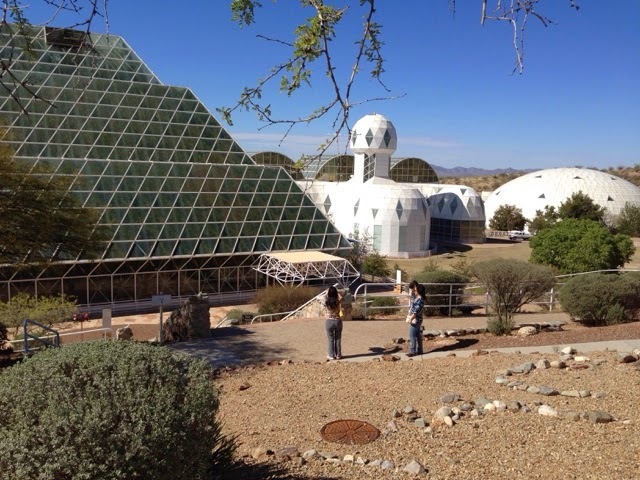 Biosphere 1 is our earth. The concept makes me feel small and listening to the compelling evidence about what we have and continue to do to the environment makes me feel weak, in that my grandchildren will have to deal with a greater environmental mess than what we see today. 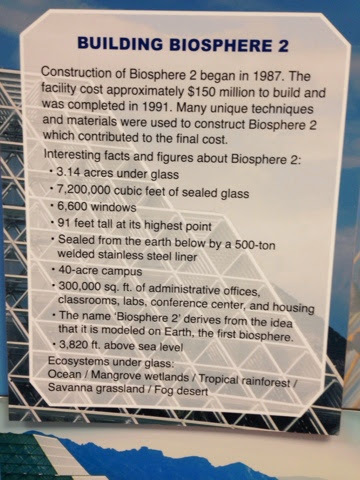 The Biosphere experiment was a success in many ways. People who thought they had all the answers at the time had many but learned a lot more from the mistakes and failures. The facility now is a learning & teaching facility and is in need of maintenance as the previous owners haven't done anything to keep it up. It is a huge complex with a lot of moving parts to keep it running. 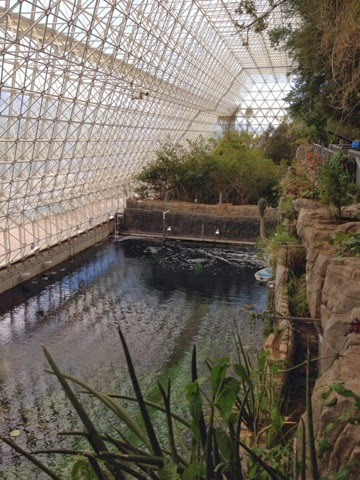 They maintain many ecological environments inside. The glass structure above. This is the living quarters and research lab section. 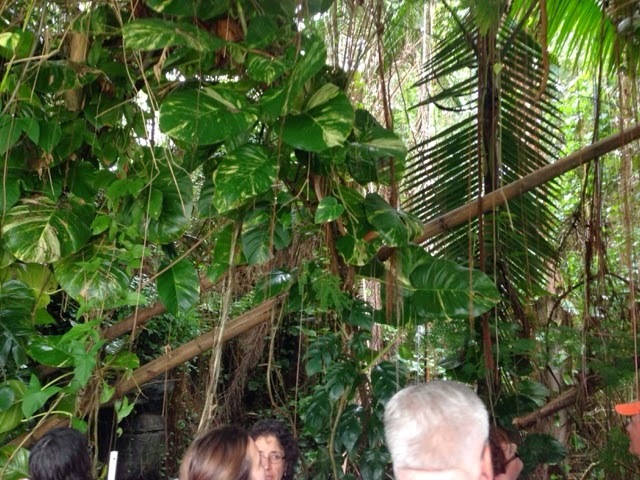 This lower part of the picture below is simulating the Pacific Ocean. They are looking for money to convert it to the bay of Baja ocean environment to conduct experiments. The green upper section is a savanna environment. 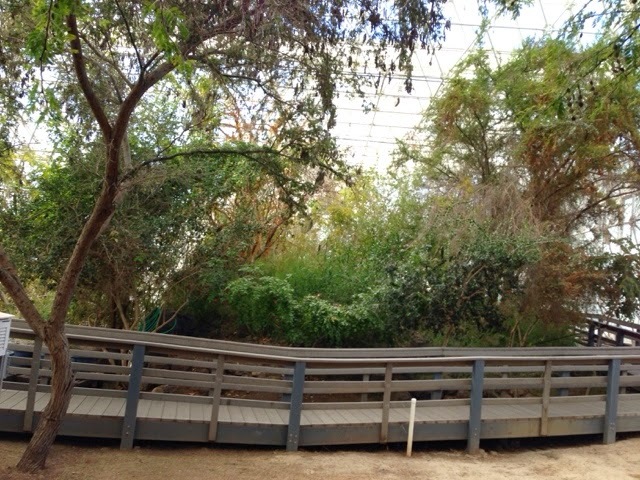 This section below is a tropical rainforest. 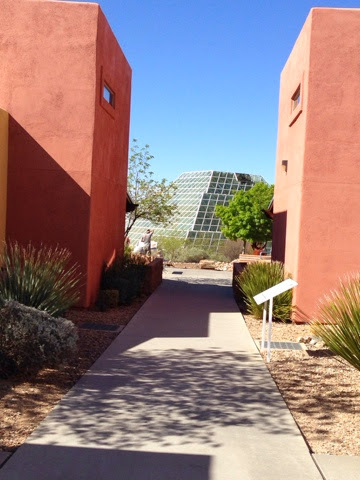 Each of the ecological environments are places for research to be done. 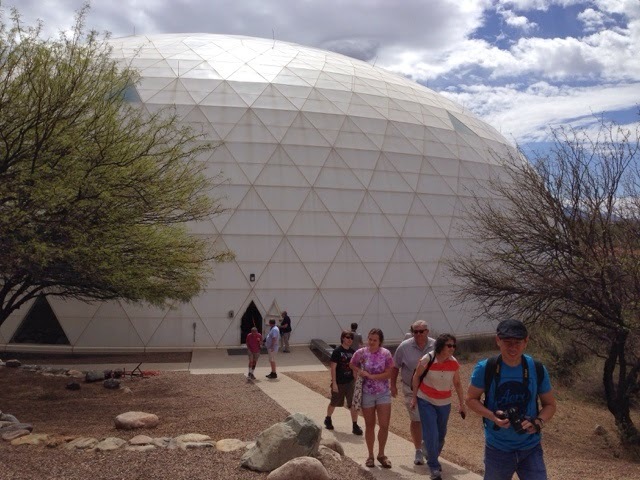 One example is a project that is trying to figure out what will grow in norther AZ lava rock. They grind up the rock and conduct experiments on what can and will grow. The goal is to learn how to grow plants on land as one day we may need to. 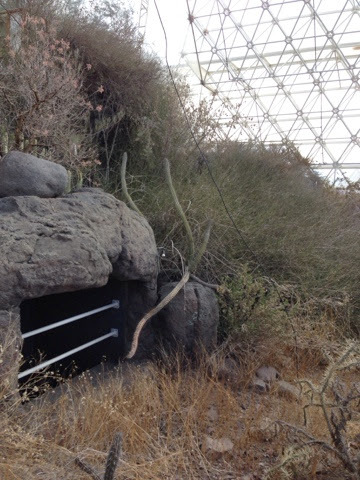 Below is a desert environment. This is one of two lungs for the Biosphere. 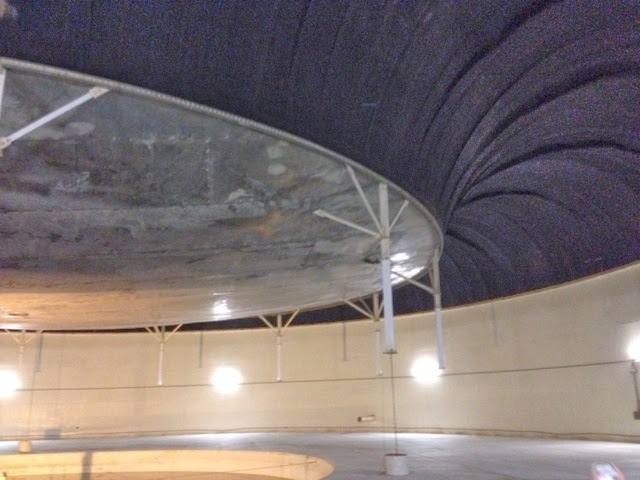 When you have a closed system as they did when 8 people spent 2 years inside pressure from the sun expanding air they needed a place for it to go as it was a closed system. This lung will go up and down to accommodate the pressure change during the day. One thing that happened during the closed system with 8 people in it was the oxygen level fell to a point (16 %) that oxygen had to be pumped in for them to survive. 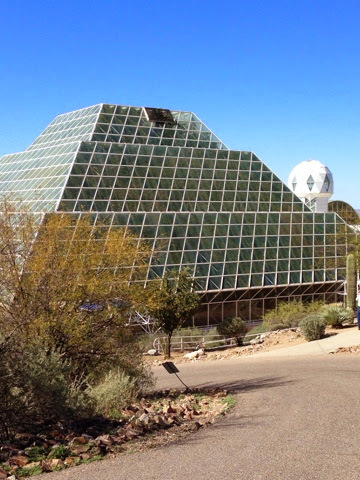 They found out that curing concrete absorbed carbon dioxide and the plants couldn't convert enough to oxygen. We do only have one world. Now we face fracking for natural gas. I am leaning on the side that we don't know the long term affects on our one world and big business looking to make money will drive the direction. Once done we can't put the fracking cracks back together. 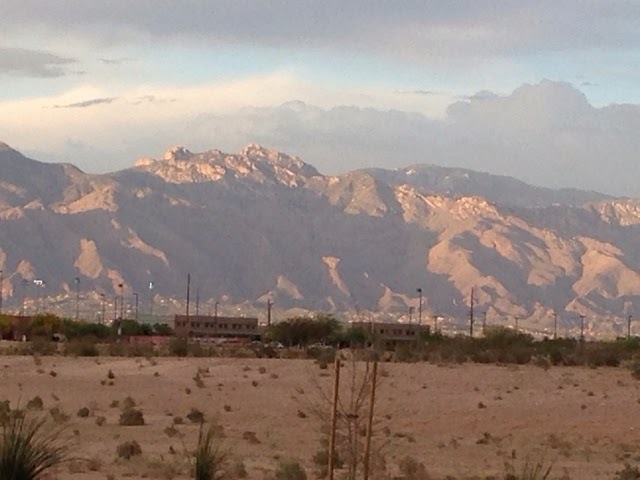 Disc Golf: I drove to a disc golf course in Tucson. I previously played when I first came through here over a month ago. I played until the 10th basket when the darkening clouds gave up a bolt if lightening that was only a 1/2 mile away and I was not taking chances. I then went to Walmart for food for the night and to look at bicycles again. I found a bike I had not seen in other stores and bought it. 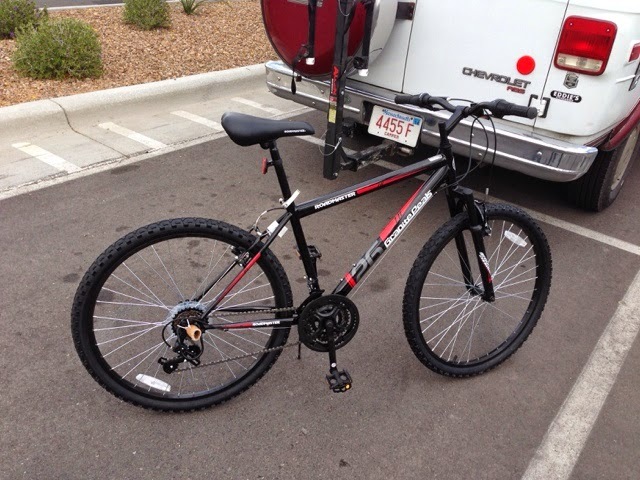 The 26" bike is basic and at $79.00 at Walmart it works for the rest of my trip. It is 18 speed vs 21 but that is ok with me. Has kick stand too. I still need to get a mirror & flashing rear light for safety. Bought two U shaped hardened steel locks. One to lock the rear wheel to the bike frame and the other to lock the bike to the bike rack. 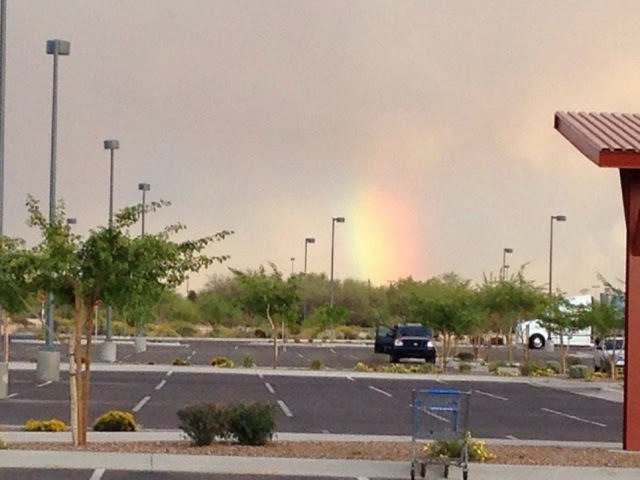 While st Walmart in Tucson here is a rainbow from the storms that affected my game that was now passing to the east. 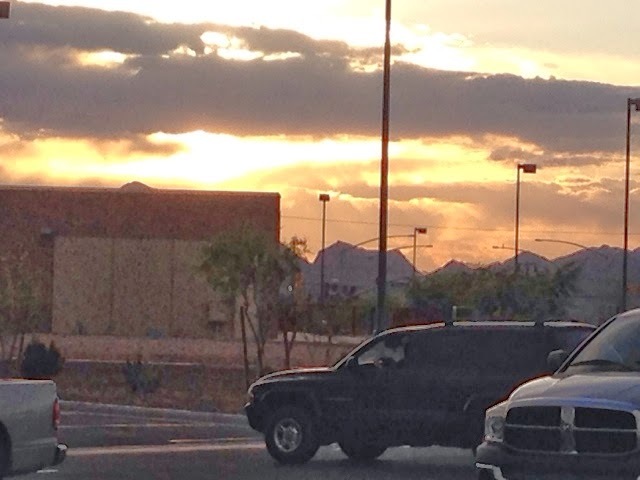 Nice sunset view of the mountains to the north. Storm over and color fun sunset. Off to stay at a local casino for the night.